This week (and next week too!) Little M. and I are learning about, reading about, and doing crafts around everything outer space. Space has always fascinated her, so I decided with the nights starting to get longer it would be a nice idea to do an in depth unit around the stars, planets, moons, rockets, and everything outer space. 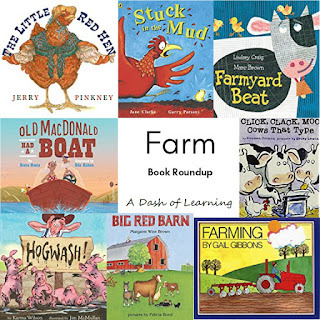 Check out the list of out of this world books that I posted yesterday if you are interested in pairing this fun activity with a great book! 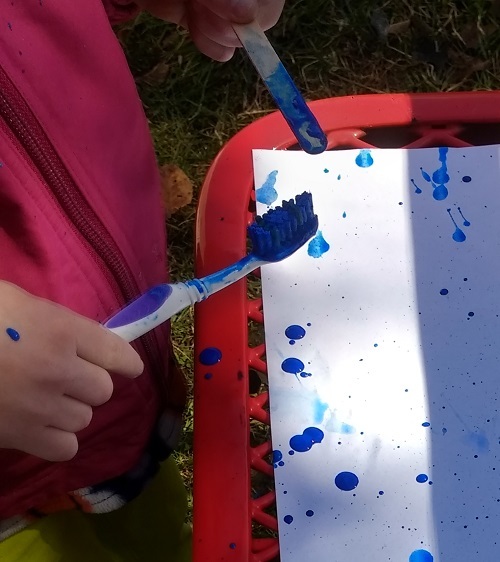 This fun process art activity is absolutely perfect for small children with little hands, especially toddlers and preschoolers. If your child can pick up a potato, they will be able to have a great time creating a fun space scene with these stamps. Making the stamps themselves is best for an adult to do though, as it requires some carving with a sharp knife (Hooray! Time to let out your inner Michelangelo! But seriously, if you can cut circles, you can make a really cool cratered moon.). 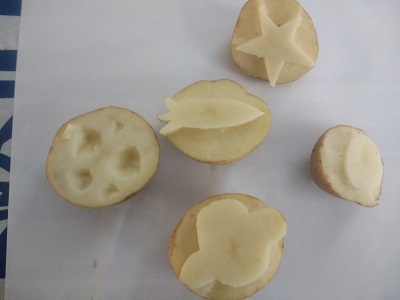 Older children who want to design their own stamps could draw the design on the flat side of a potato cut in half and then you could carve it out for them. First, cut all of the potatoes in half. To make the designs, simply “draw” a simple design into the cut side of the potato (I made a circular planet, a meteor/moon/cratered planet, a ringed planet, and a star). For the cratered object, I simply cut small holes of various sizes out of the potato. For the other stamps, I cut the design into the cut side of the potato at least half an inch deep. Then, from the sides of the potato I cut a ring half an inch from the cut side down, cutting until you reach the initial cut. 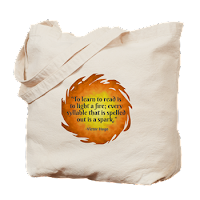 Then, simply pull off the scraps. You may damage a couple of potatoes on your first try, but pretty soon you'll have it down. I had to try the rocket ship twice to get it in a way I was happy with. Invite your child to choose a few colors of paint. Little M. insisted on “helping” me pour the paint, which was challenging. Although it's wonderful to see her becoming more independent. Set up the child's workspace with the stamps, paint, and some paper and watch them create an interesting space scene. Little M. was even constructing a narrative about meteors crashing into stars, and exploring the solar system in the rocket ship. She had an absolute blast with this activity and I hope you do too! 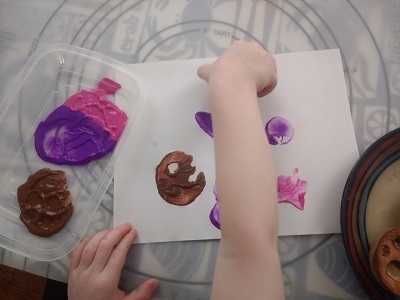 If you are looking for another process art activity for small children, check out our dried flower collage activity or our other process art activities. This activity is great for integrating together all of the little facts about the solar system that we have learned. She pretended to make all of the planets (and some of her favorite moons, such as super volcanic Io) as well as the sun. 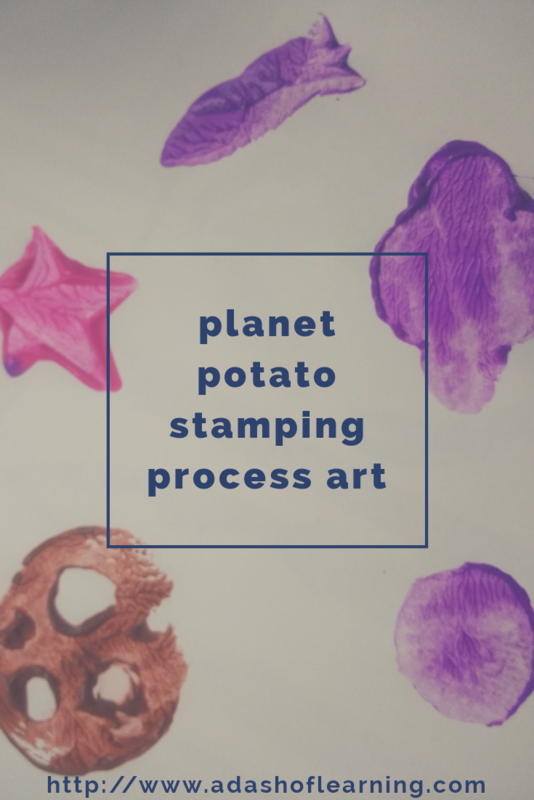 Thank you for reading our Space Potato Stamping process art activity for learning about outer space! If you enjoyed this activity feel free to share on social media and/or leave a comment down below. 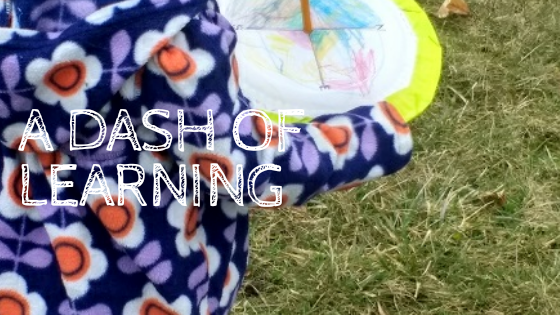 Check throughout the next couple of weeks for more great ideas to explore the theme of space with your little one.